State officials warn most lakes are not yet safe and advise people to check the thickness of the ice before venturing out. After drilling holes Monday on Cochnewagon Lake in Monmouth, Josh Zayac found 4 or 5 inches of ice underfoot, enough for a safe outing on the water. Cpl. John MacDonald, public relations and information officer for the state Department of Inland Fisheries & Wildlife, said it’s still too early, and the ice too thin, to fish safely on most larger lakes, but some ponds are “starting to be a little more safe.” The cold weather is expected to allow for a stronger, earlier, start to ice fishing this year than last year, when mild temperature prevented lakes and even ponds from freezing over until much later in the season. He advised anyone looking to get out on the ice to check it by drilling or chopping through the ice to see how thick it is. In general, guidelines for ice safety indicate a minimum of 4 inches of solid ice is needed for a person to safely be on the ice, and 6 to 8 inches for someone on a snowmobile or all-terrain vehicle. 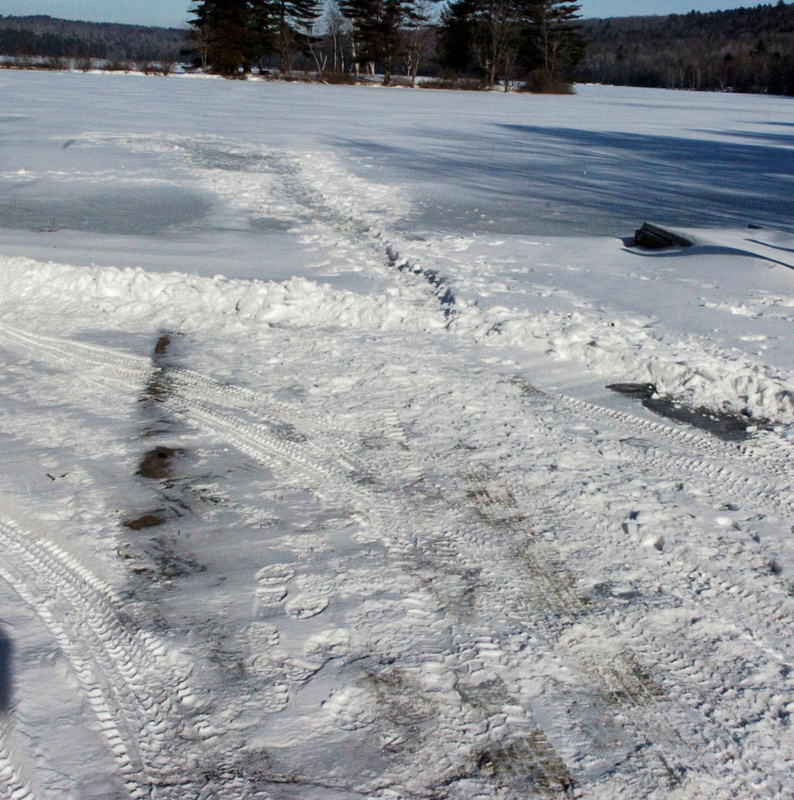 Authorities discourage anyone from driving a car or a truck onto the ice, regardless of thickness, though doing so is generally not illegal. It’s important to look at the quality, not just quantity, of ice, too. Clear ice is typically more solid, while white cloudy-looking ice is weaker. And ice conditions can vary even in the same body of water. So officials say it’s best to check with people who know local waters, and to measure the ice personally, before venturing out onto it. Verne Keith, owner of Cobbossee Bait in Winthrop, said some hard-core fisherman have been fishing on the ice since the first weekend after Thanksgiving. He agrees checking the ice is the best way to be sure it is safe. He said being in the business of collecting bait fish puts him out on local water bodies earlier than most people, and he admits having fallen through the ice on multiple occasions. Each time, he said, he hadn’t checked the thickness before venturing out. He noted that when he is out on the ice, he is equipped with picks, ropes and other tools to help get himself out of the water, should he fall through. Keith said so far mostly hard-core fisherman, most of whom tend to be ice-savvy, have been fishing this season. 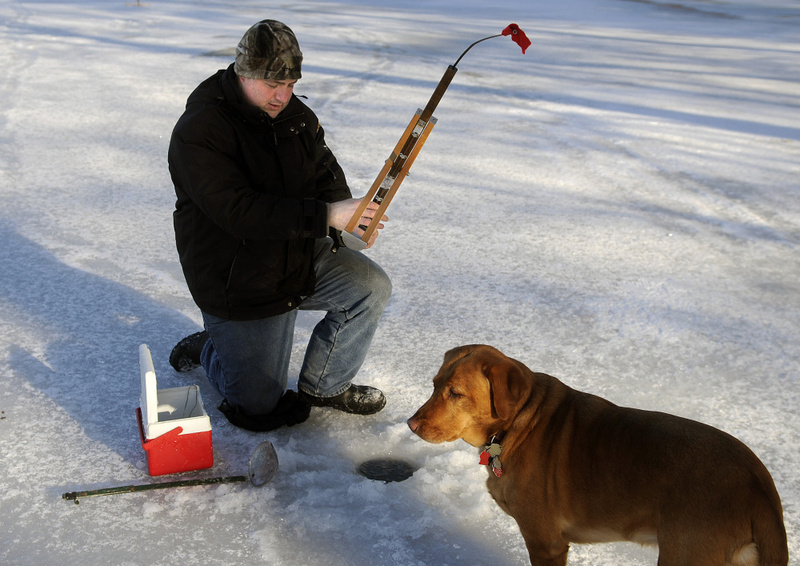 He said this year is the first in the last three years in which there has been ice to fish on before Jan. 1. Zayac, fishing with girlfriend Mackenzie Stevens, brother Tyler Leet and friend Sam Tobey, said the fishing was pretty good Monday. They caught three brook trout. Dave Bubier, who owns Baker’s Dozen Bait Shop in Winthrop with his wife, June, said most smaller ponds in the region “are buttoned up good” with ice, but some of the larger lakes have yet to freeze over enough to be safe. 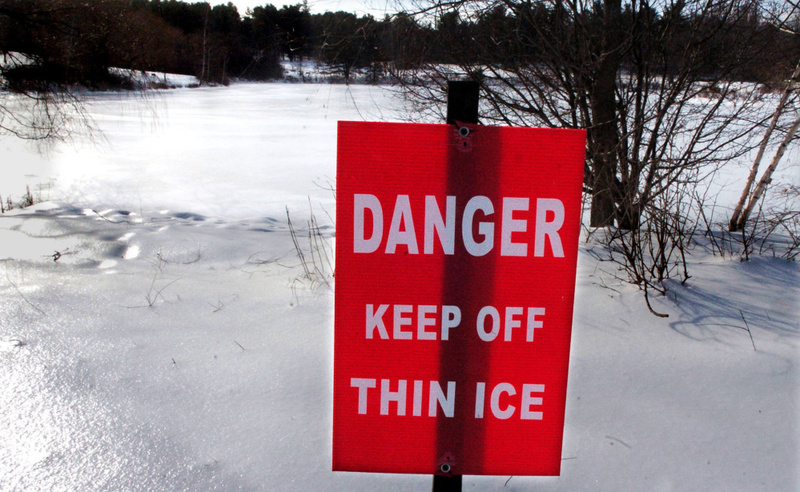 Coves and other areas on larger water bodies might be safe, but Bubier, like MacDonald, warned that people should check the ice every few feet, because thickness and safety can vary even on the same lake. Bubier said the bait shop isn’t open full time yet but does have a limited selection of bait. He said he hears fishing has been really good so far this season, especially for catching brook trout. He anticipates more people will be hitting the ice as school vacations get underway this week. He said many young people go ice fishing. 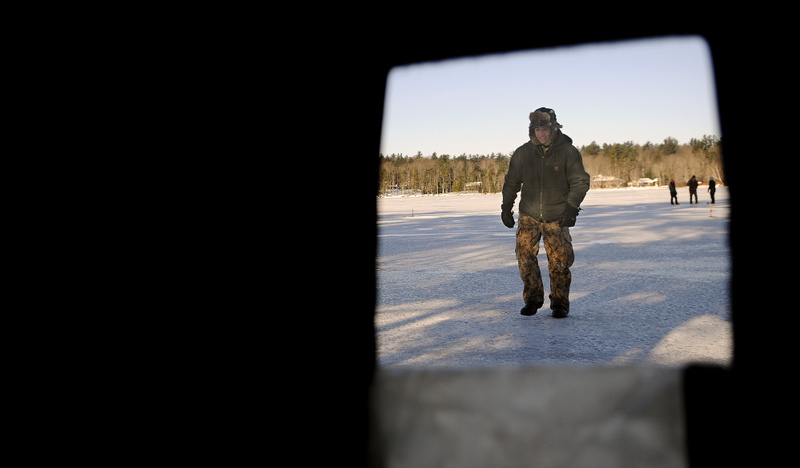 MacDonald, Bubier and Keith said this year is off to a much stronger start than last year, leaving them hopeful for a good ice fishing season if the cold temperature keeps freezing ponds and lakes. Keith said central Maine is becoming known as a good place for out-of-state people to go ice fishing, and they have the chance to catch a variety of fish, from large pike to smaller trout. MacDonald said he hadn’t heard of anyone falling through the ice and needing to be rescued so far this season. Earlier this month, Wayne and Readfield firefighters rescued a dog that fell through the ice on Lovejoy Pond. MacDonald said quite a few people seem to have been out ice fishing already this season, which, hopefully, he said, will be the start to a strong winter recreation season in Maine.